What’s the 2019 Ram 1500 Gas Mileage? The 2019 Ram 1500 is a powerful pickup with real-world fuel economy. Thanks to thoughtful features and a new eTorque system, the Ram 1500 offers best-in-class available V8 4×4 combined fuel economy. * Read on to learn more about the new Ram 1500 gas mileage, engines, and fuel-friendly features! When equipped, the eTorque system creates a 48-volt electrical supply from the engine’s kinetic energy. In a sense, it serves as an electric motor and powers the engine in short bursts when it accelerates from a full-stop. To put it simply, the Ram 1500 with eTorque uses the stop-start feature from popular hybrid and electric cars to give its 3.6L Pentastar or 5.7L HEMI engine a boost on Sherwood roads. TorqueFlite® 8-Speed Transmission: This class-exclusive automatic transmission seamlessly shifts gears for a balance of impressive fuel economy, power, and maneuverability. Available Air Suspension: The class-exclusive air suspension system lowers the Ram 1500 at highway speeds, reducing drag and improving mpg ratings. You won’t find this option on competitors like the Ford F-150. Test Drive the Fuel-Efficient Ram 1500 at Wilsonville Jeep Ram in Wilsonville! 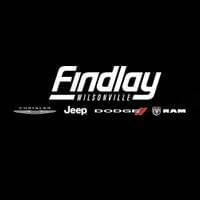 If you have questions about the Ram 1500 gas mileage and performance, contact us at Wilsonville Jeep Ram to schedule a test drive near Tualatin and Salem. We’ll put you behind the wheel so you can experience it for yourself! Don’t forget to ask about our new specials on CDJR SUVs, trucks, and vans. While you’re here, check out our inventory of Black RAM 1500 trucks for sale. *Based on Light-Duty Pickup Segment and EPA estimated 19 combined mpg with 5.7L eTorque engine. Actual results may vary. **Class based on Light-Duty pickups. 0 comment(s) so far on What’s the 2019 Ram 1500 Gas Mileage?